On 1 April 2017, Seattle Art Museum's Olympic Sculpture Park will debut a new site-specific installation by Spencer Finch. Entitled The Western Mystery, the work explores the changing light of Pacific Northwest sunsets. 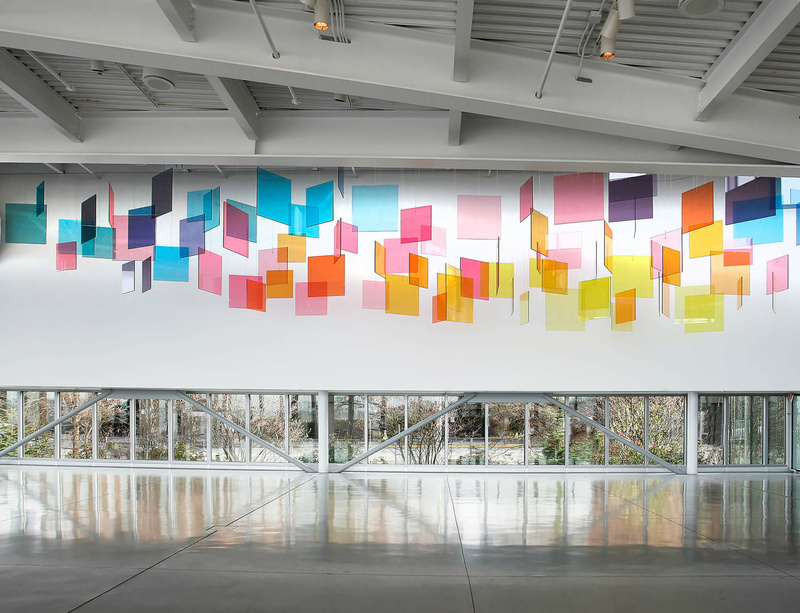 Composed of 90 glass panels suspended from the ceiling, the installation will create an overlapping and constantly moving constellation of colours – pinks, purples, oranges, yellows, and blues – based on sunsets photographed from the sculpture park over Puget Sound. New York–based artist Spencer Finch is renowned for his work exploring the perception of light and colour. For this installation, Finch has created an “abstract landscape” from a collection of visual data intricately connected to the atmospheric conditions of the site. In the glass-enclosed pavilion, each viewer’s experience of the work will differ depending on the weather, time of day, and the season. The title of the installation, The Western Mystery, is borrowed from a line of poetry by Emily Dickinson, a major inspiration to the artist. Spencer Finch: The Western Mystery at SAM continues until March 2019. Click here for more information. An exhibition showcasing Finch's use of photography, both medium and process, is on at Lisson Gallery Milan from 31 March until 19 May 2017.